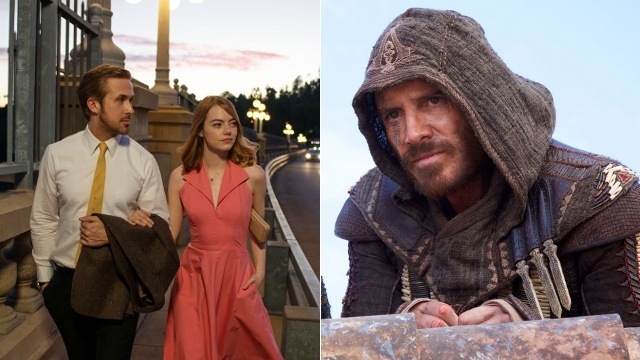 La La Land, Assassin's Creed, and more! 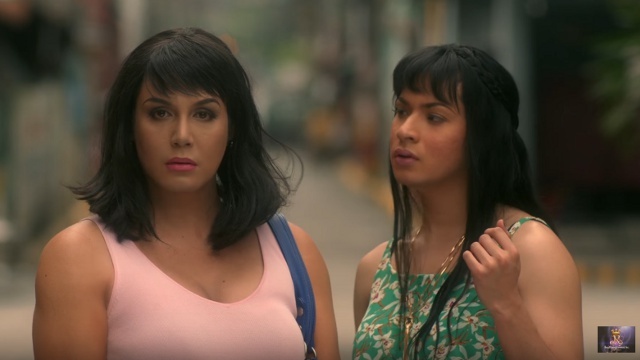 (SPOT.ph) Say hello to a new year with a new roster of exciting films to catch in cinemas this January. This star-studded movie month, watch Ryan Gosling and Emma Stone sing and fall in love, catch Michael Fassbender travel back in time, and see Chris Pratt get stranded in space. Mark your calendars for these release dates! Reportedly a frontrunner at the upcoming Golden Globes, this critically acclaimed animated film is about a koala named Buster Moon (Matthew McConaughey), who owns a now-dilapidated theater. In a final bid to restore his beloved theater to its former glory, the optimistic Buster stages an ambitious singing competition. The film features a stellar soundtrack performed by an all-star cast that includes Scarlett Johansson, Reese Witherspoon, Seth MacFarlane, Jennifer Hudson, and John C. Reilly. Video game fans are in for a treat this month with this new live-action adaptation. Callum Lynch (Michael Fassbender) is a Death Row convict who discovers he's a descendant of a mysterious secret society from the 15th Century: the Assassins. Marion Cotillard, Brendan Gleeson, and Jeremy Irons also star. A fictional starship transporting thousands of slumbering people to a new planet malfunctions, awakening one passenger (Chris Pratt) 90 years too early. His loneliness and isolation soon draws him to another sleeping passenger (Jennifer Lawrence). Take a wondrous, musical journey through the streets of L.A. in this exciting new film that mirrors the glamorous musical films of yesteryear. Whiplash director Damien Chazelle returns behind the camera to tell the story of a talented jazz musician named Sebastian (Ryan Gosling) and an aspiring actress named Mia (Emma Stone). The film is one of awards season's biggest frontrunners. Based on real-life accounts of the 2013 Boston Marathon explosion, the film is a testament to the first responders, law enforcement agencies, and government officials who raced against the clock to track down the bombers. The film stars Mark Wahlberg, J.K. Simmons, Kevin Bacon, John Goodman, and Michelle Monaghan. Written and directed by M. Night Shyamalan, this intriguing psychological thriller stars James McAvoy as a man with dissociative identity disorder and has over 20 split personalities. He kidnaps three teenaged girls who must find a way to escape. Ben Affleck returns to the director's chair (and in front of the camera) in this period film based on a 2012 crime novel of the same name. Set at the height of the Prohibition era, it follows Joe Coughlin (Affleck), the son of a police captain who becomes a notorious gangster. The cast also includes Elle Fanning, Zoe Saldana, Sienna Miller, Chris Messina, and Scott Eastwood. Vin Diesel is back in one of his biggest and most recognizable roles: daredevil operative Xander Cage. This time, he must recover a sinister weapon that could potentially control every military satellite in the world, only to find himself embroiled in a government conspiracy. Donnie Yen, Deepika Padukone, Nina Dobrev, and Ruby Rose also co-star. Directed by Zhang Yimou, this film initially courted race-related controversy because of its "white savior" narrative. Delving into Chinese history and the origins of the Great Wall, the action-adventure stars Matt Damon as a mercenary who leads a huge army of elite warriors to battle monsters. Two brothers (Owen Wilson and Ed Helms) were raised to believe their father (J.K. Simmons) passed away when they were young. After discovering that he may actually be alive, they decide to go on an epic search for him, all while learning more about their eccentric mom's (Glenn Close) secret past.